Great dogs start their training careers as puppies. Start training as early as 12 weeks of age. Gentle and humane methods proven effective. All classes are done on a one-to-one basis. All classes specifically designed for YOU and YOUR pup. One of the first things a puppy has to learn is housebreaking. Over the last 37 years I have personally overseen the housebreaking of hundreds of puppies. 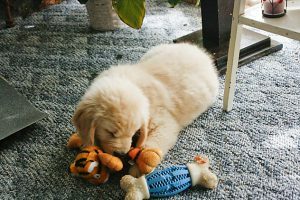 Housebreaking is the first step in establishing a proper problem solving framework in the puppy. This must be done in a quick, positive and humane manner.One of my customers favorite classes is the “Housebreaking” class. 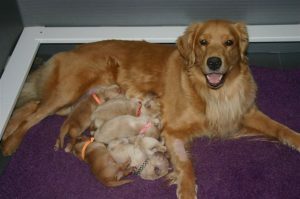 It is mainly for pup’s 8 to 16 weeks old, however I can modify it for older “problem”, and “rescue” dogs. Over the years I have Housebroken HUNDREDS of puppies. So I have written a complete program on the subject. This enables me to send it over the net to all of you. First I send you a questionnaire that you fill out and electronically send back to me. This gives me the basic information I need to personalize the email support for you and becomes part of your permanent record which is encrypted. I then send you the hard copy and give you an Email for communicating to me, this enables a back and forth dialog to make it “just for YOU and YOUR” pup. I will guide you through the process answering any questions you may have and keeping you on schedule. The one-on-one class normal price is $60.00. For a short introductory time I am going to make it FREE. The Housebreaking plan and program. TOTAL UNLIMITED E-MAIL and VIDEO SUPPORT! Here is a current Housebreaking sucess comment. Contact me and get your questionnaire sent to you. You will also get an E-Mail for us to communicate with. Then E-Mail me any questions or comments. I will respond based on what you say in your question and your questionnaire. This is a wonderful site for dog owners of which I am one. You have covered every aspect of training and especially training the owner.I have a kelpie, if you have seen the Movie Red Dog you will know the breed. I live not far from Paul McPhail who trained RED Dog, so I have seen him at work and I imagine you are very similar in the responses you get from the dogs you train. My dog loves to jump on me for a cuddle but he does not jump on anyone else.I love my dog and I know he loves me too but he will only work for me. My hubby can tell him something and he wont do anything till he hears it from me. Do you think a working dog can have two masters? The short answer is yes. The longer answer follows. Dogs as you well know are pack animals. Therefore, there is a pecking order. I have said many times for people in your situation that “he who works the dog is the one the dog works for”. Does the hubby do any formal work with your dog? To your k-9 companion you will always be first. But I would venture that if he works the dog regularly and correctly that he could become number two “in the dog’s view of things” in the pack order. Right now, I would guess that he is number three or so. That is from the dogs’ point of view. Thanks for the question if you have any further questions or comments please reach out to me.